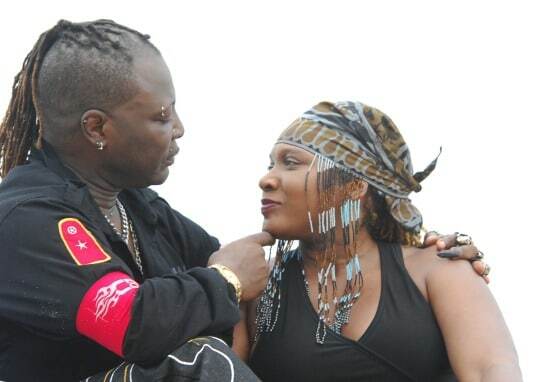 Nigerian showbiz maestro and rights activist, Charles Oputa, popularly known as Charlyboy, has formally walked his American wife,Diane, down the aisle after 40 years of marriage. The marriage produced three children. The low-key wedding was officiated by the outspoken Catholic Bishop of Sokoto Dioceses, Bishop Mathew Kukah, and had in attendance close friends and relatives of the couple, including the aged mother of Charlyboy. Charlyboy said that he and his wife decided to wed in a church to honour his aged mother who had been ‘pleading that we do the right thing’. He said further that he got married as a teenager in 1974, and secured divorced after the union produced one child. Charlyboy, who is 67 years, has nine children from different women and has 16 grandchildren.